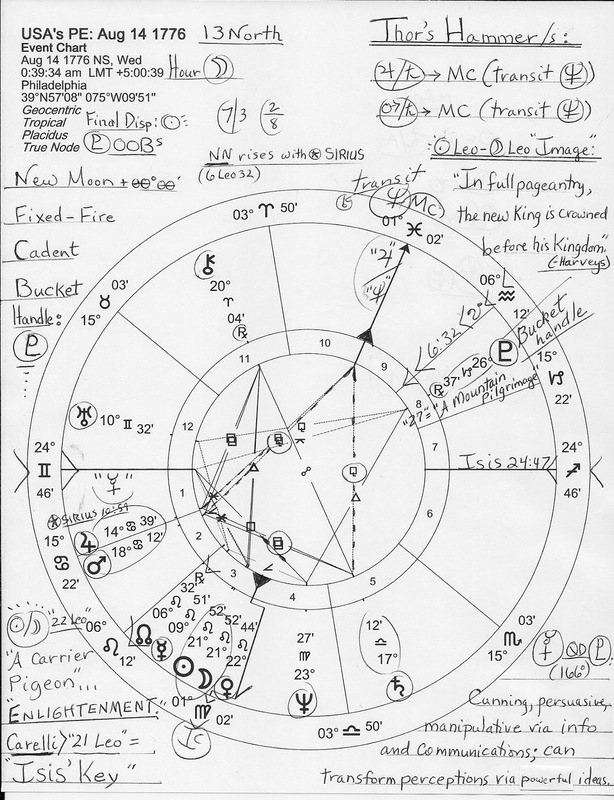 Blogging time is limited this week so I recommend you click the image to enlarge and read a few basic notes penned upon the chart or set up the horoscope for yourself, if you haven't. As you know, most of the signers of the Declaration of Independence did so on August 2, 1776 which falls within the 2-week range of this Solar Eclipse of August 14, 1776 in the 13 North Saros Series. This is the initial eclipse in the 13N Series which supports so many of America's 'firsts' including what became our nation's global leadership role (as we bossed around other nations--or did.) Its double Fire signature is perfect for our fiery nature, so Martian in its application of conquest and expansion, me-first attitude, and what became our overbearing warmongering and resource plundering. 13N carries themes of 'separation that requires the breaking of an existing bond, large ambitious group projects, and joint achievement' (paraphrasing Brady's Predictive Astrology.) The 'existing bond' was with Britain, of course, though its continued separation has been diverted and is directed by the central banking system model. 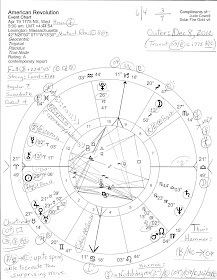 13N repeated last on January 4, 2011 @14Cap--opposite US natal Sun 14Cancer. And you know how fiscal and budgetary matters went in 2011--soon to repeat in 2013 into 2014 if austerity-promoting obstructionists, the Republicans, have their Saturnian way. A bucket pattern is similar to a bowl pattern with planets on one side of the chart. 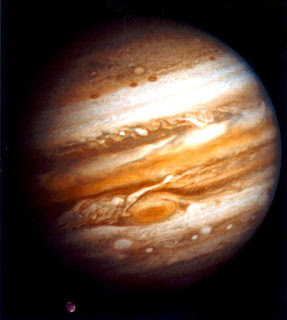 The inclusion of Pluto forms a handle for what then becomes 'a bucket' as hemispheric emphasis indicates extreme self-containment and having something to bear (as a bowl is used to hold things.) The occupied area of the horoscope shows activity and organization with the unoccupied area denoting challenges to existence along with where our attention must be directed. The advocacy of a cause and/or the carrying out of a mission results. 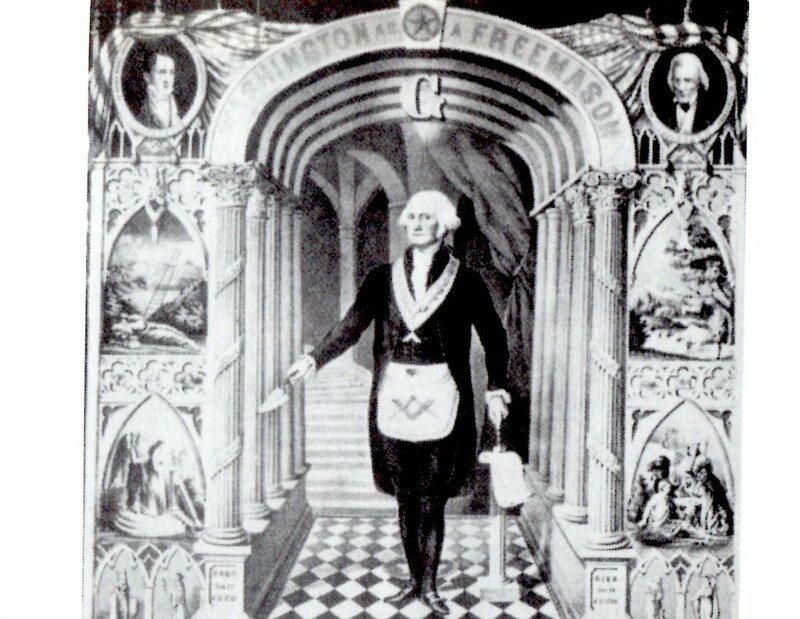 And of course, 'Manifest Destiny' and America as the 'New Atlantis' of Utopian ideals comes to mind along with the Illuminati of the House of Rothschild who backed Adam Weishaupt and his May 1, 1776 founding of the Bavarian Illuminati. The destruction of the US Congress is well underway, as you know, and our lack of trust in the lawmaking body and its eventual dissolution are the expectable conclusions. That's why I try not to guffaw too much over GOP 'clown car' passengers since there is a wider, sinister game that directs neanderthal Republicans' crazy backwardness. But sometimes, you just have to laugh. Note that the Sabian Symbol for Pluto's '27Cap' = "A Mountain Pilgrimage" and is the degree of the Midheaven--The Goal; Aspiration--in US Inauguration horoscopes since the early March date was changed to January 20th during FDR's administration, in January 1937. Conserving resources is not an issue for a handle Pluto which here describes those who work invisibly behind the scenes as they adapt allegiances to yield the most profit to fill their hidden coffers. For as we've found in recent decades, transnational corporatists have no allegiance to America or to any other sovereign state and consider the nation-state to be passe and in need of dissolution in order for their Great Plan to be fully implemented as 'Global Government'. Jupiter-Saturn = tr Neptune: feeling abandoned; begrudging other people's good fortune; losses; damage to buildings via water, gas, or war. "The bucket type at its best reveals the real instructor and inspirer of others, and at its worst the agitator and malcontent." Well, I myself am a malcontent when it comes to the self-destructive, totalitarian direction that politicians and other agents and operatives are taking America--but thankfully for my eternal salvation, I'm no reptile-hearted plutocrat!